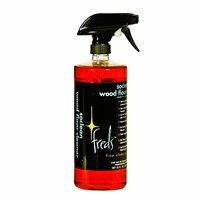 Fred's SoClean is also great on sealed wood cabinets and laminate counters. Use Fred's SoClean full-strength as packaged, do not dilute! Simply spray and wipe surface clean. Use with Fred’s Microfiber Mop Kit. Fred's Soclean Wood Floor Cleaner will leave your floors noticeably cleaner and brighter than the leading brand name product! This is because Fred's Soclean doesn't have an alcohol base, so your floors will not dull or have any residue when you are finished!! Streak Free beautiful floors are easy with Fred's Soclean Wood Floor Cleaner! This product will outperform all other wood floor cleaning products on the market guaranteed!!!! !